Introducing rustic elegance and sophistication in the heart of Karachi's upscale shopping and dining district. Pie in the Sky and Chatterbox present their latest addition, Chatterbox Deli. After much time and planning, Pie in the Sky finally introduces its spacious and centrally located Chatterbox Deli. The restaurant and cafe is easily accessible from many neighborhoods and also working folks, for an enjoyable meal anytime of the day with loved ones, family and friends. Spruce up your day with a fresh and relaxing atmosphere, friendly faces, upbeat energy and high quality cuisine and desserts. Experience a little excitement in a sophisticated metropolitan style atmosphere - polished wood, modern glass and sparkling lights, coupled with delectable culinary and patisserie offerings. Unique and festive table decor is a signature of the Chatterbox Deli. Chatterbox has maintained exceptionally high standards in their service and products, and that stays true in their newest addition, Chatterbox Deli. 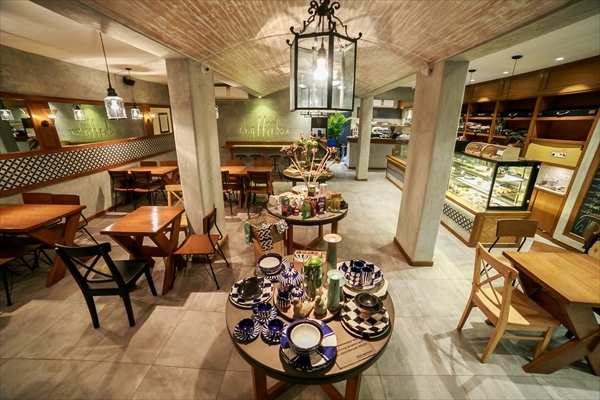 In addition to their much loved patisseries throughout the city, delightful cafes and their exceptional restaurant Aztec, they bring to you their very special Chatterbox Deli. An eatery that is the realization of a very long wish list. • A Retail Section where you can buy the best of our CB jams, jellies, marmalades, cottage cheese, honey, almond milk, quinoa, oils, granola and more. 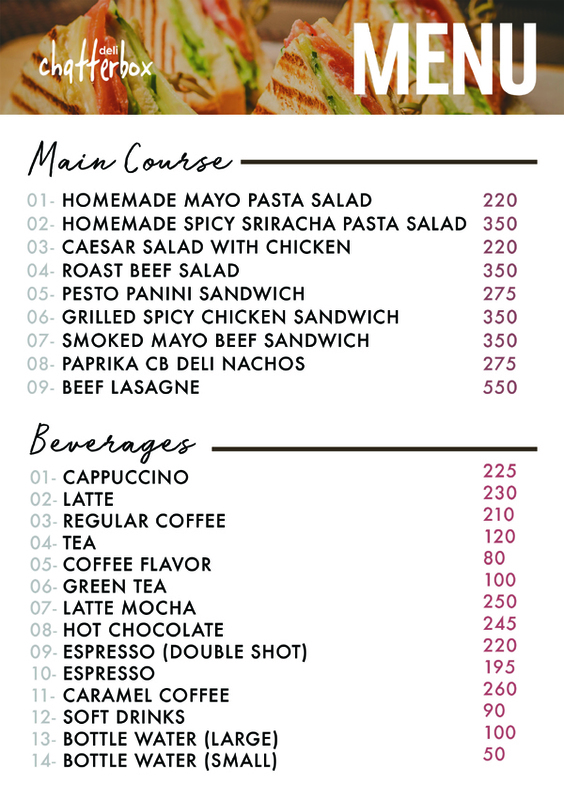 • The Cafe offers homemade pasta, roast chicken and delicious char-grilled meats in addition to daily specials. The great news is the Chatterbox Deli is all that and more, and all set for welcoming spring to Karachi. Chatterbox Deli looks forward to serving you soon! Catering: We do offer catering, specialized and customized salads and cakes and set menus for corporate and private gatherings. Wheelchair Accessible: Stairs are not very high and the staff will be able to help the wheel chair so that it can be brought inside. What to Expect: High quality cuisine in a fresh, rustic and relaxing atmosphere with friendly service. Also, diningware, food items and gifts on display for purchase.